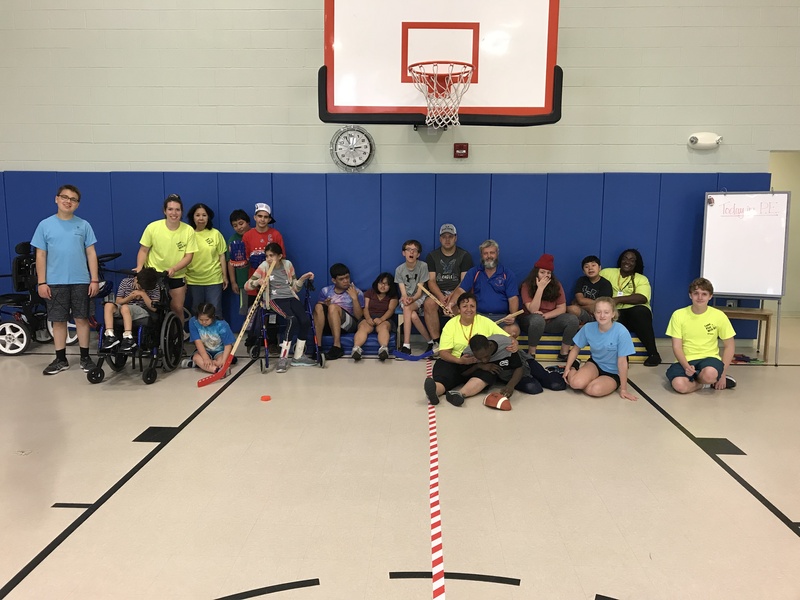 Sophia | NOVA Cool Cats Special Hockey, Inc.
teaching others how to play hockey! Sophia Marra is a 19 years old former mentor of the NOVA Cool Cats. She volunteered for the Cool Cats last year and the year before. She also went to high school with Thomas Grattan and Nolan Trotz and it the way she heard about the NOVA Cool Cats Special Hockey Program. She works for Arlington County Therapeutic Recreation at Camp Adventure Quest which is a camp for people from "ages of 6-21 with intellectual and developmental disabilities that require moderate to extensive support". They have a week long camp. It is their "Olympic" themed week and one of the sports we will be learning about is hockey. It was a great opportunity for students to learn some basic skills of ice hockey. It was great to come from a hockey coach. They could become a Cool Cat could if they really enjoy it.